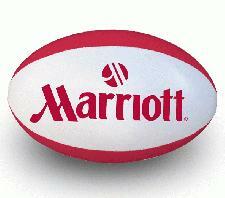 Size 5 Promotional Rugby Balls are a great method of promotion on mass in clubs and events and have a great print area for your corporate logo. This promotional item comes in a choice of Gloss, Satin or Foam PVC. All of these surfaces are cross-laminated for perfect shape retention with all 4 panels available to be printed on in up to 10 spot colours. PVC Rugby Balls are perfect for events with children as they’re easy to wipe clean after a muddy game and the colours stay bright no matter how often they get used – a real bonus for great brand exposure. Promotional Match Ready balls are specifically made to follow the IRB requirements. This branded item is perfect for professional rugby, as well as premium promotion and smaller rugby clubs – definitely not one to be missed! 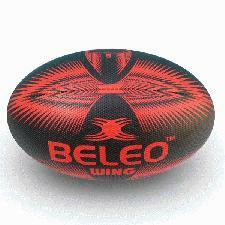 The ball is made up of 4 panels giving a large print area for your corporate logo to be printed in up to 10 spot colours. This gives great exposure for your brand in bright colours for all to enjoy. There is also the option of Top Grade and Eco Quality pimpled grain rubber which means that you’ll make every conversion, so don’t blame the ball if you lose! 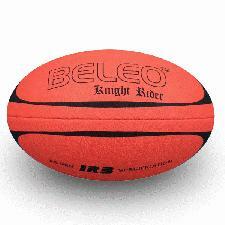 Promotional Rubber Rugby Balls are made without following specifications and are made using top grade rubber. The branded item is ideal for rugby clubs or premium promotion. It is constructed from four panels and can be either Top Grade or Eco Quality pimpled grain rubber with up to 10 spot colour printing on each panel. Don’t let this one slip through your fingers!